Test For Alcoholism. The Johns Hopkins Alcoholism Questionnaire. The Drinking Scale Test created by Johns Hopkins University is a simple Yes or No type test for alcoholism with 20 short questions. Your answers will tell you whether you (or a loved one) are abusing alcohol and if so, at what alcoholism stage you are at. It is best to read each question carefully and not to rush to the end. Remember to be honest with yourself! 12. Does your drinking cause you to have difficulties in sleeping? 14. Is your drinking jeopardizing your job or business? Three YES answers indicates a probable drinking problem. Four to seven YES answers indicates early stage alcoholism. Seven to ten YES answers indicates middle stage alcoholism. More than ten YES answers indicates end stage alcoholism. What If I answered YES to 3 or more questions? Don't draw too many conclusions and, more importantly,..
Do you want to do something about your drinking? This seen by many as the one and only way to get sober. It is effective, but only for a small minority. Despite popular belief, it is estimated that only a tiny minority actually succeed using this method. Recent research has shown that only 5% of alcohol dependents actually remain sober for three or more years using the 12 steps (the main philosophy behind Alcoholics Anonymous’ approach). However do not discount it until you have tried it. 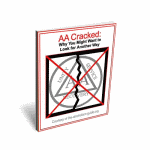 For more on their approach read Stop Drinking Alcohol With AA. 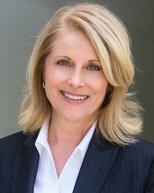 The Sinclair Method, using the medication Natlrexone, has a far better success rate than AA. It has been shown to be effective in over 78% of cases (Read Results with Naltrexone and Nalmefene: Clinical Trials and Reviews for more on research into Naltrexone and its effectiveness when used to combat alcohol dependency). It is interesting that little is known of this method despite it seeming to be the best treatment for alcoholism available, some say that this is due to vested interests in the addiction treatment industry working against any innovation that might damage their business. Go to The Sinclair Method to learn more about this breakthrough. There are a lot of resources that claim to be able to help you deal with your drinking. A lot of them are ineffective and offer false hope. There is one I have come across that offers alcoholics and problem drinkers a way out (if they are prepared to work hard at overcoming their problems). How To Give Up Alcohol gives alcohol dependents the tools to quit drinking without AA. For those problem/binge drinkers who do not want to give up alcohol, it provides a way for you to return to moderate drinking by showing how you can control your alcohol intake with a little bit of planning and a lot of perseverance. Although a bit on the expensive side, this e-book is a fraction of the cost of a treatment center,and anyway you can’t really put a price on reclaiming your life from alcohol. A treatment center is a great place to get sober. There are, however, a couple of downsides to this form of getting sober. The first is that a stay in a treatment center is fearsomely expensive. If you have insurance then this is not a problem, if you don’t then the cost may well be too much (some centers can cost up to 40,000 dollars for an eight week stay!) The second problem is that most treatment centers (about 90%) follow the 12 step method of alcohol treatment to the letter. If you find it hard to stomach the 12 step program, then a treatment center may not be for you. 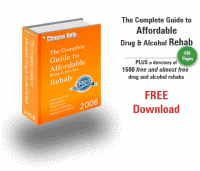 Read Alcohol Addiction Recovery for more on alcohol treatment centers. There are many who have managed to defeat their drinking problems by taking the drug baclofen, which is licensed to be used in the treatment of the spasticity associated with conditions like multiple sclerosis and cerebral palsy. Although not licensed for the treatment of alcohol dependency, those who have tried it swear by it. Dr. Amiesen, a French cardiologist stumbled on baclofen’s potential for treating alcoholism when struggling with his anxiety and alcohol dependence. One of the great advantages of using baclofen is that abstention from alcohol is not necessary. In fact continuing to drink is an essential part of the treatment. Intrigued? Read Baclofen And Alcohol for more on this form of alcoholism treatment. There are countless ways of treating problem drinking. We have gathered what we consider the best and put them on one page, for more read Alcohol Treatment Programs.